Frappato is one of the Cos wines that stands out for its fine quality. It is produced with organic processes, and it is extremely pleasant to the palate. It has an intense ruby red colour and strong scents of red fruit. 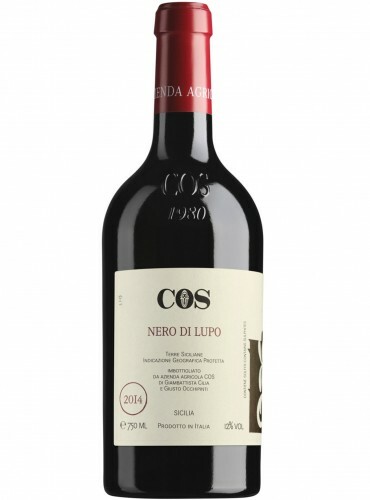 Nero di Lupo Nero d’Avola is an example of the best Sicilian wine production. It is obtained only with Nero d’Avola grapes through organic processes. It is appreciated by the more qualified sommelier too. It is obtained from Merlot and Cabernet Sauvignon grapes. Maldafrica is one of the Cos wines produced in the Terre Siciliane IGP, exactly in the Vittoria district. It is an organic red wine with an unique and amazing taste. Pithos Rosso Cos is more than a bland of Nero d’Avola and Frappato grapes. It is a wine produced from an organic agriculture in the Vittoria grounds, a DOC that has became important for the excellent wine activity.